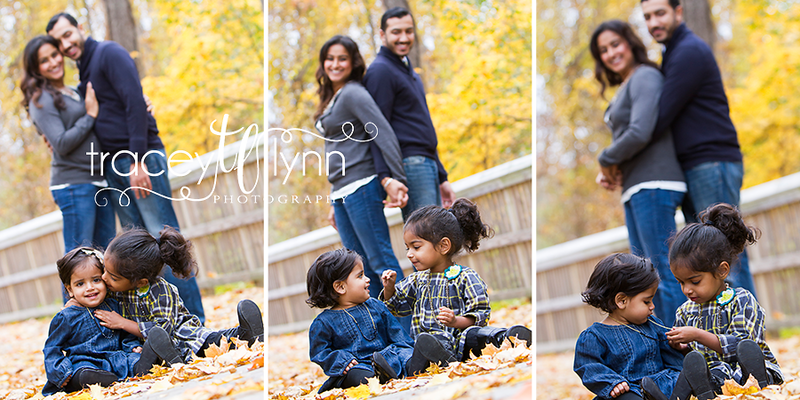 I first had the pleasure of meeting this little family last fall when their youngest was only a few months old, (click here to see) and it was so fun to see how both girls have grown in the last year. I love how their style! Last year I went out and bought my daughter the outfits they were wearing and I forgot to ask where this year's outfits were from, but I totally want to copy those as well ;) Aren't they adorable?! We had two peak color weekends this fall and this was one of them. I'm still about 50 sessions behind on blogging, but this colder weather is giving me a chance to finally catch up!